“Accuracy is the spirit of analysis.” Based on a well structured design and manufacturing process, unquestionable accuracy and precision were a prerequisite, secondly quantification and precision of analysis were dependent on accurate flow rate. Excellent reliability and stability. The pump heads have been machined using a first class CNC process; the innovative structural design has been designed to achieve minimum pressure fluctuation. Consequently stable flow, low noise and overall quality provide the foundation for reliable results. LCW software offers complete control, powerful data processing, reporting functions, intelligent diagnostic systems and maintenance utility ensure a complete and flexible software solution for your analytical work. Art combined with practicality. The modular system provides shape and character whilst being aesthetically pleasing. The unique and practical design ensures ease of use and maintenance. In essence, the combination of art and practicality complement each other. 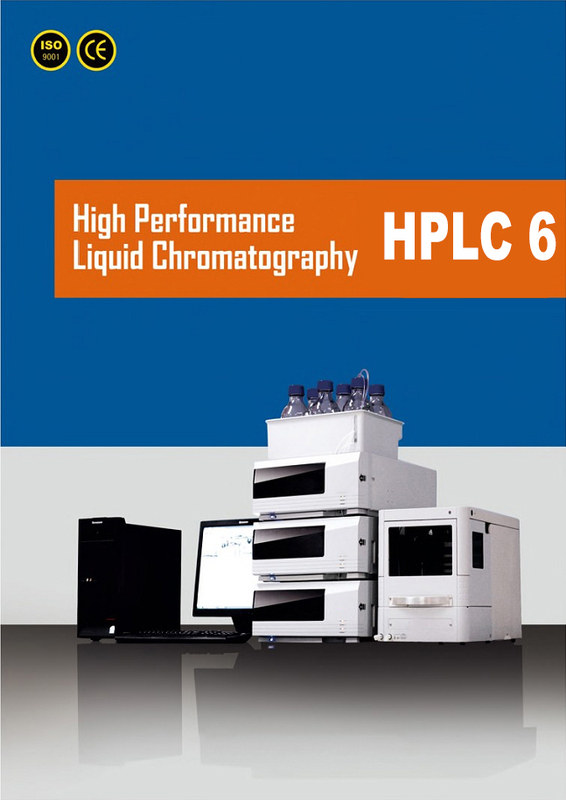 The HPLC-6 is a high performance yet cost effective solution. The modular design ensures that you can configure the system to meet your application requirements. A dedicated team of product specialist will provide technical support and provide an application development service. The figure above shows comparison of 10 injections (Response time 0.1s). From this figure we can see that the Pump P-21 exhibits good repeatability on both retention time and peak area, which leads to accurate results. 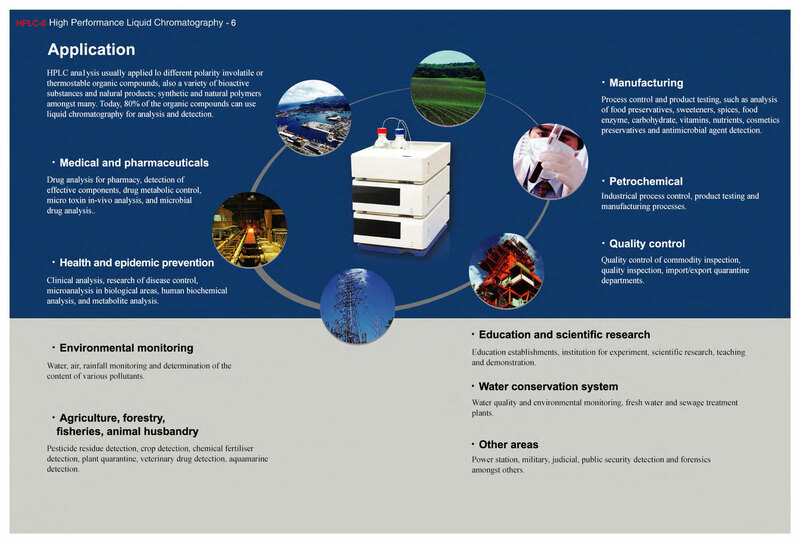 The solvent system incorporates a fluid design that uses a serial flow path. The system employs dual plungers and two check valves for enhanced reliability. The dual com gear is calculated to ensure optimal flow control whilst an integral seal wash system will extend the serviceable life of the pistons and seals. Optimized solvent delivery is achieved using pulse dampening compensation. This system optimizes pump stability and decreases pressure ripple to 1%. Accurate gradient elution: composition accuracy <2%. Simplified optics: comprising of an advanced ellipsoidal mirror and concave grating. Compared with traditional configuration, this arrangement greatly reduces the number of optical components ensuring wavelength accuracy. Transmission deuterium lamp combined with tugsten lamp provides a wavelength range of 190-800nm. The shine through deuterium lamp eliminates moving components, reduces noise whilst offering increase reliability. The lowest baseline noise <0.75x10-5Au allow sensitive analysis to be achieved. The thermostatic flow cell reduces the influence of room temperature and fluctuations on absorbance and provides a stable baseline. Integral large capacity memory, which can save the data in the event of accidental power shortage.